A miserable fat teenager secretly has a crush on the class beauty, ends up becoming the surprising participant to dance with her at a high school dance, meaning he's got to get his act together with the help of his best friend. Ben Kurtzman: [voice-over at the end] Life is made up of a few big moments, and a lot of little ones. I still remember the first time I kissed Sylvia, or the last time I hugged my father before he died. And I still remember that white-bread sandwich and that blonde dancing girl with the cigarette pack on her thigh. But a lot of images fade, and no matter how hard I try, I can't get them back. I had a relative once who said that if I knew things would no longer be, I would have tried to remember better. Q: Is "Liberty Heights" based on a book? Liberty Heights an unassuming gem. Barry Levinson's LIBERTY HEIGHTS begins telling it's story through a variety of different viewpoints, and at the outset may give off the vibe of being somewhat unfocussed, but do not be misled by the elusive opening! Although unexceptional in terms of it's standard coming of age plotline, as the film progresses it becomes increasingly thoughtful and observant. It is the small details that make LIBERTY HEIGHTS seem so rich--and I wouldn't dream of giving any of them away--but needless to say, by the end of the film anyone who remembers their childhood fondly is bound to leave the theatre with a smile on their face. In a quiet and unassuming way, the movie manages to throw out many messages to its audience. Every single subplot in the film relates back to the family. 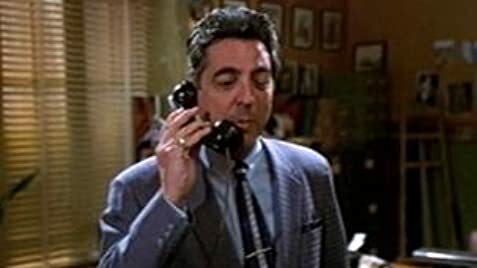 Joe Mantegna plays the racketeering patriarch of a nice uppper-middle class Jewish family that resembles a lighter version of the Corleone's in THE GODFATHER. One of the sons falls for a Catholic girl, while the other pursues the black daughter of a prominent city doctor. They all live with their grandmother who is blinded to the "gentiles" by the Holocaust. 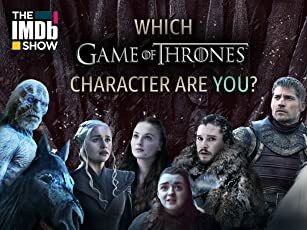 The relationships between the youngsters naturally conflict with the views of their parents, and they are forced to form their own opinions on racial boundaries. 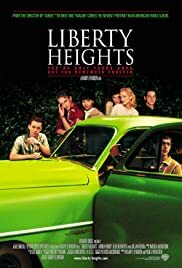 What is so refreshing about LIBERTY HEIGHTS is that it doesn't pull obvious punches or go for the cheap thrills that more sensationalized Hollywood films normally would. Not even in a subplot with an eccentric drug dealer do the characters resort to violence as might be expected with this sort of material. The characters in LIBERTY HEIGHTS are just ordinary people in relatively ordinary situations. It is not a fast paced film, some may find the midsection to be a little over-inflated. Personally I enjoyed the film a great deal. It grew on me to the point that by the end I was drawn to tears. Even fully aware of its old fashioned Hollywood corniness the movie touched a nerve with me. I found the performances very moving--in particular that of young Ben Foster, who we should exepect to see again in the near future. Adrien Brody is appealing and sympathetic as the eldest son. Bebe Neuwirth manages to create some interesting moments in her role as matriarch of the Kurtzman family--particularly in the final scene. LIBERTY HEIGHTS is not a perfect film to be sure, but in a season with a shortage of intelligent family oriented films LIBERTY HEIGHTS is a solid bet.